Today on the Twitch TV live stream of the Power Rangers Ninja Steel panel, a trailer for the upcoming Power Rangers Super Ninja Steel season premiered. 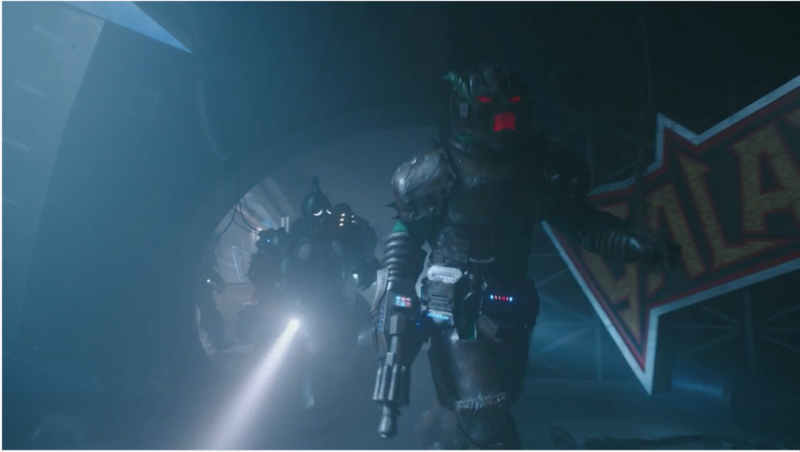 At the end of the trailer, the statement was made of “And a TWIST you won’t believe” … to the image of Sledge and Wrench, two villains from Power Rangers Dino Charge, walking through the ruins of the Galaxy Warriors stage. What does this mean? Does it tie in to the 25th Anniversary Special airing next summer? Who knows! But the hype is real for Power Rangers Super Ninja Steel. Sledge, the villain from Power Rangers Dino Charge/Dino Supercharge, returns in Power Rangers Super Ninja Steel. WAIT?? Sledge is he the bad guy for super ninja steel or is it the gold rangers i saw the black eyes? hmmmmm? And wait Sledge was killed. right? SLEDGE IS BACK?!?! There's a surprise I wasn't ready for! This was honestly a welcome surprise... until I realized it made no sense lol. Though it is nice that they're attempting to bring together a grander story. "And a twist you won't believe"... immediately revealed what it is. But seriously, how is he back? I know the Neo Saban timeline is broken beyond repair but how? Did Time Force Rangers fix it offscreen? Hopefully this brings back the team-ups because they are really lacking unless you count Super Megaforce a team-up. 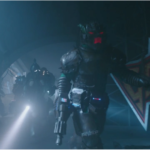 I've been trying to figure out who the monster in the back of that scene with Sledge is for the past two hours and its driving me crazy. I feel like I should know it. Also the Jiraiya episode is being adapted what??? .........What? They better have a good explanation for this. I really hope they feature Jiraiya in it as well. That would make me so happy.